To celebrate the centenary of Ford of Britain in 2011 the company is exploring its photo archive to reveal rarely seen images. Ford's unique relationship with Britain and its society will be illustrated each week by specially selected pictures. This week the archives help to illustrate progress in design techniques and new technologies, which have enabled Ford’s design language to evolve so successfully. In the 1950s, Ford became recognised as a design leader with the introduction of the Ford Consul, Zephyr and Zodiac models. These iconic Ford cars were dreamed-up by teams of designers using traditional drawing tools and their own ‘trained eye’. The Ford Consul, Zephyr and Zodiac underwent significant design changes in the 1950s and 1960s until the Mk IV Zephyr and Zodiac gave way to the Consul Granada in 1972. The Ford Evos concept shown at the 2011 Frankfurt Show, delivers the latest expression of Ford’s design and technology vision and previews the design language for the next generation of global Ford products. 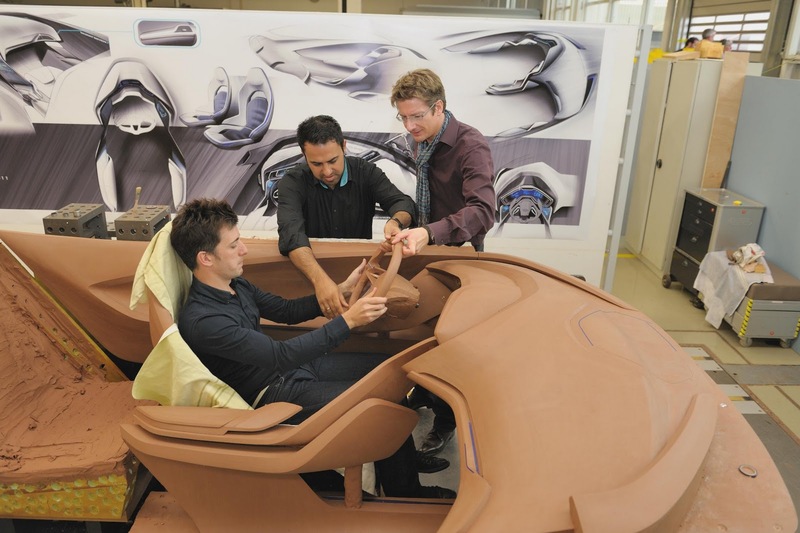 The company’s global design team created Evos using a combination of traditional design techniques, advanced clay modelling, computer-aided-design (CAD) and computer-aided-manufacturing (CAM).